I went on another duck hunt. The mud flats are punishing at times. The tide went from a 14 to a 4 in six hours. That meant that I had to move and reset my decoys every 15 min. or so. 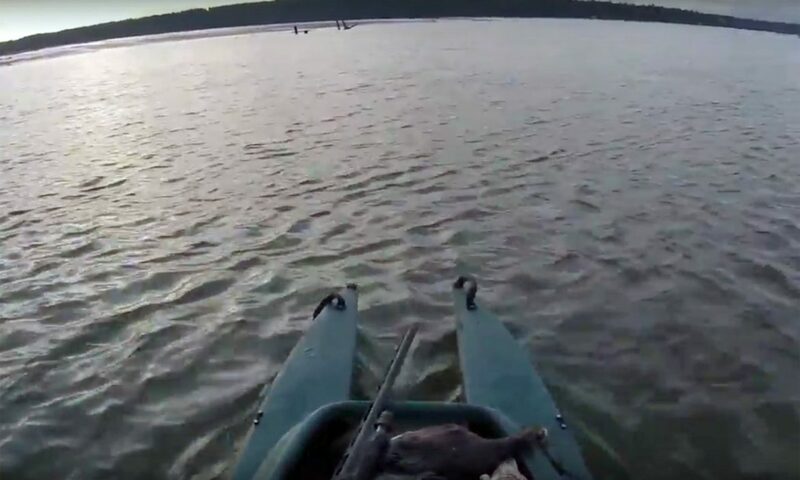 Eventually toward the bottom of the tide it takes longer to reset than the water floats the decoys to hunt. That is usually when I give up and let it come back in. Today however it would not have done so in the light, so I had to paddle out at the low. It was a drag getting the boat out to water deep enough to float. But that is what I love about the W700. Stable for the weather and light enough to drag on the mud. Only got a couple of birds but it is always good to get out. I hope that now you’ll have more time to perfect your mud-motorized S4. Till next season, nice job getting out there for one last hunt. Windy day, and mud everywhere! To be clear it was the last hunt on the mud. I will be hunting this weekend maybe twice at my local lake spot. The season done on Jan 28th. So the next trip will be more fighting with the eagles for my ducks! lol It has been a great season and I am looking forward to finishing the S4 project and starting to explore where I can go with that!